Stand Up with the SU2C Logo Baseball Hat in grey. Featuring an embroidered logo on the front and an adjustable back for comfort, this new style is great to show your support. I just ?? 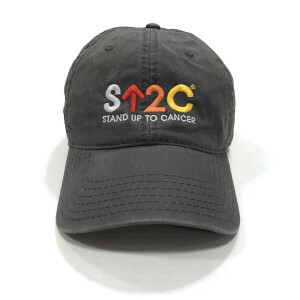 My Cap, &amp; wear it with Pride, as a 2 time Canccer Survivor, would have like to see more color options, with the exact same design. Stand-Up!? ?